I really can't believe we're already half way through March. It seemed like January lasted for six months and then all the sudden we skipped right over February and most of March! What I'm not mad about though is the start to March Madness. Basketball was the only sport I didn't play growing up, so I've always been a fan but mostly because how could you not respect a court full of guys that are seven feet tall? Not to talk too much about who I think/hope will win in my bracket, what I know I did win this week was some needed grooming necessities from CVS! I'm never short of products thanks to some really good deals at CVS - which is really the only place I'll shop at for my grooming regimen. Right now, and through the 23rd of March, they're doing their buy one get one 50% with card deal so it's time to stock up on Dove Men+Care, Axe, Suave, and Degree products. Want to know what I'm using? Below are just a few products I stocked up on this week that I always keep in my regimen to keep my grooming game strong. Dove Men+Care Clean Comfort Body Wash - LA weather has been all over the place so I use this to beat the elements and to keep my body extra moisturized with their MICROMOISTURE technology. It washes away clean without leaving any residue and only leaves you feeling and smelling fresh. AXE Phoenix Clean + Cool Body Wash - I like to use this when I want to switch up my scent a bit with subtle hints of wood and fruit. I like to add it to my evening regimen before a night out to have an extra scent boost. I love it. 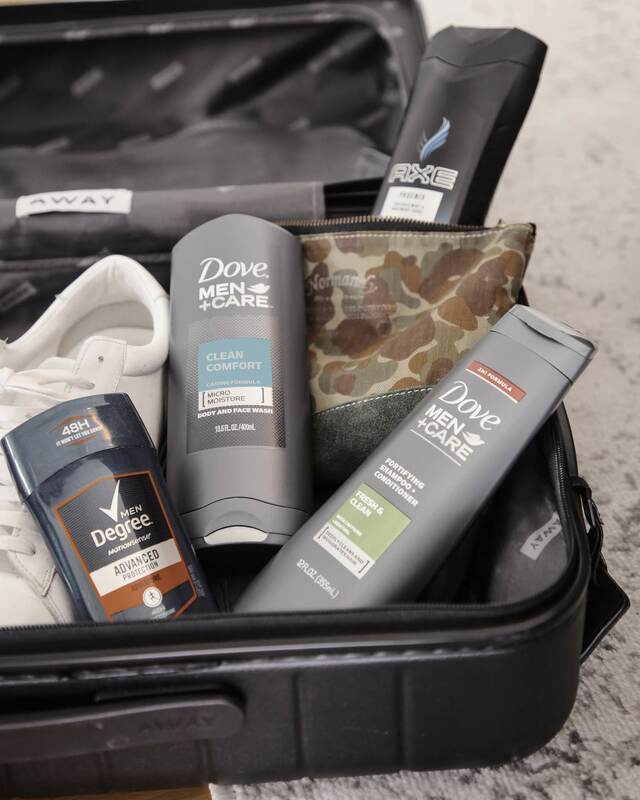 Dove Men+Care Fresh and Clean Shampoo & Conditioner - Who doesn't love a combo? Especially for days I'm in a rush, this two-in-one hair wash make hair shine, strong, and resilient to the elements. It's even infused with caffeine and menthol which helps deep clean and leaves your head feeling super invigorated. Degree Men Advanced Protection Deodorant - this deodorant has MOTIONSENSE technology which provides motion activated protection from sweat and odor. We're all super active, and with weather warming up, we all need a little help feeling and staying fresh. Sponsored post by Miriam. All words and opinions are my own.